Do you need to remove an annoying file that doesn’t go away? Check this list of the best software to delete files that cannot be deleted. Resorting to one of the best software to delete files is a practice that you can carry out if you use public or shared computers with other people. Also if you want to remove all the information stored in your computer once and for all so that there is no trace of it, for example, because you are going to sell it. It is essential to keep in mind that by sending a file to the recycling bin, it doesn’t entirely disappear from your computer, and remains hosted for a long time on our hard drive and in different parts of the operating system. That is if by mistake you have deleted an important document you will be able to recover it with almost total security using any of the programs to recover files in Windows 10 that exist. If, on the other hand, you need to remove some file that you cant remove by the usual ways, you can resort to any of the best software to delete files that cannot be deleted. If you are in this situation, in which you want specific files to disappear forever due to the sensitive information they contain and make it impossible to recover them, doing as if they had never existed on your computer’s hard disk you should know that there are programs to delete files in Windows permanently. So, let’s see the best software to delete files that cannot be deleted. When you delete a file from a computer, it isn’t completely erased, but the storage space is assigned a zero value of “0” so that area is free and any other file can make use of it. This implies that although you don’t see the file in question, it is still available and can be recovered as long as it has not been overwritten in those sectors. There are apps designed to erase these files securely. These apps delete the specified file and overwrite the sectors of it a certain number of times with random values so that the data is completely corrupted and the file cant be recovered. A free app designed for this function is Eraser. With this app, you can delete absolutely any file from your system safely and prevent its recovery. The first thing you should do is download the latest version available from its main website. Although its development is somewhat stagnant (the most recent version dates from 2012), the tool is fully functional. 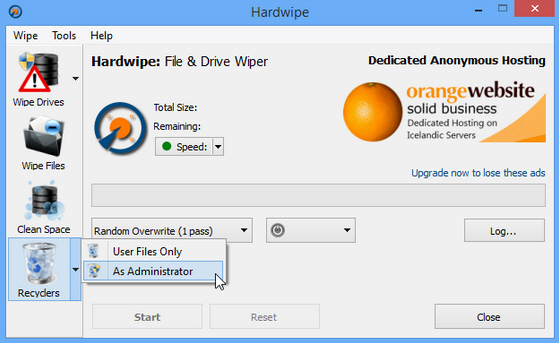 Hardwipe is a free software to delete files that cannot be deleted. Secure erasure is interesting, for example, if you throw or sell your computer, since you will avoid that your information falls into the hands of a stranger, even if it resorts to data recovery programs. In case of having a file or folder that you cannot delete, thanks to Hardwipe you will make sure to make a secure deletion of these. When you delete files, these are not entirely removed, being possible their recovery with programs like Recuva, Data Recovery, DiskDigger, Undelete Plus, etc. Even against what many people believe, a format does not save the data from recovering. Hardwipe is a free software to delete files that cannot be deleted and that has several algorithms to perform this process: randomly overwrite, overwrite zeros (in these two options only makes a pass) GOST R (2 passes) ), DOD 5220 (3 passes), Schneier (7 passes) and Gutmann (35 passes). 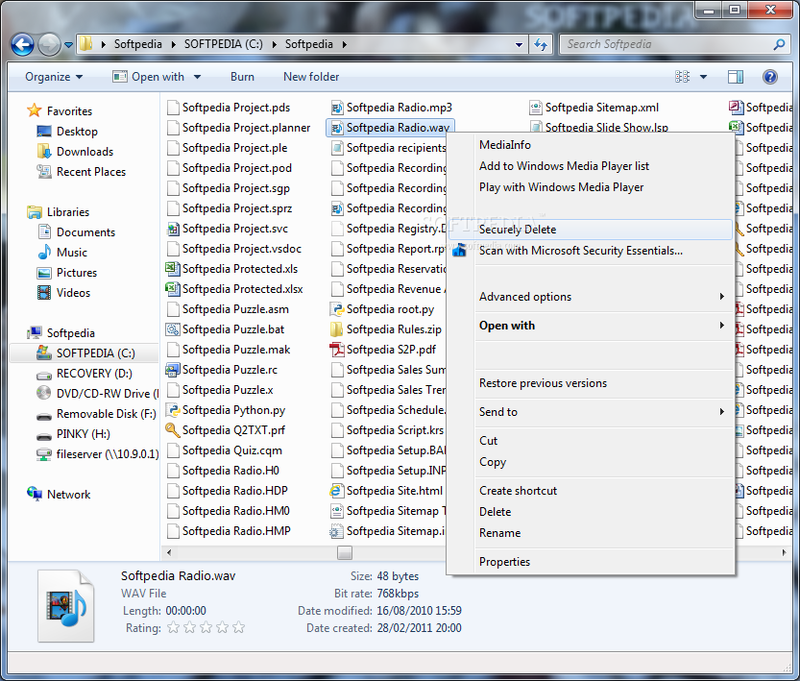 Besides, the software is integrated with Windows Explorer, making it even easier to manage. SDelete is a free software to delete files that cannot be deleted that works through the command line that can be used to safely erase files and at the same time free up space in your disk drives. Keep in mind that while you can remove any file from a hard drive installed on a Windows computer through the usual Explorer, the command line or other means, by deleting these files in this way, they aren’t immediately removed from the unit in question. Without going into too much detail, what happens is that Windows removes the reference to the data on the disk to make the space occupied by that file available again for other writing operations. That way once that space is partially or overwritten, the file can no longer be recovered. However, since it can not determine when that will happen, the data that you think have been deleted are still available in the unit from which they were deleted months or even years ago. This is not always very good, for example, because if you want to sell the hard drive or the PC, the new owner could run a file recovery software to get back the deleted files. Therefore, SDelete is a tool that works on the command line that can be used to permanently remove files, so that they can no longer be recovered. Thus, the program overwrites the data on the hard drive when it is run to prevent file recovery software from recovering traces of these files or deleted data. DeleteOnClick is a free software to delete files that cannot be deleted with which you can remove those files that you are sure you do not want to recover. Every time you delete a file in Windows, it remains in a cluster of your hard disk until it is overwritten by a new one, which in many cases allows us to recover those files. 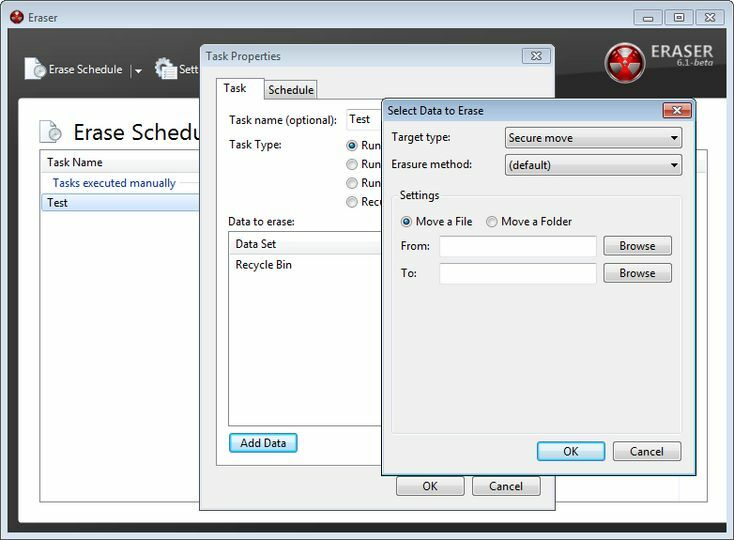 DeleteOnClick incorporates the option Securely Deleted (Securely Delete) in the context menu so when clicking on a file with the right mouse button it will be permanently deleted without even going to the recycling bin. 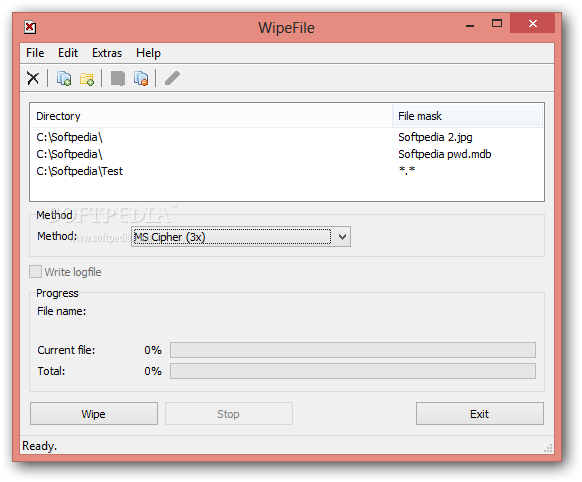 Wipe File is a free and portable software to delete files that cannot be deleted that completely overwrites the sector (s) in which the deleted files are located and eliminates the pointers of the Master File Table, making it practically impossible to recover them. Works with fourteen different methods, all according to international security standards and offers quite exciting options such as the possibility of choosing specific directories to be deleted but at the same time filtering the files by name or extension, so that it eliminates only those records. Not only is it beneficial, but the interface is completely friendly and using it is very simple. If we want to delete a disk or a partition directly, you can download the Wipe Disk app, from the same authors, which offers the same tools but for full discs. So far those were the best software to delete files that cannot be deleted that you can download for free. Just download any of these tools and remove safely your files. DO you use another software? Let me know in the comments section to add it to the list.